Why book 'Online' or 'Direct' with us? Best rate guarantee! FREE Wi-Fi! NO Booking fees! FREE 11:00 Late check out! 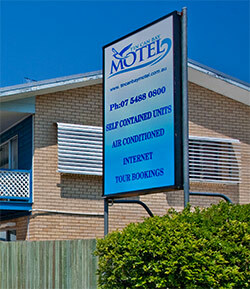 Come and relax at Tin Can Bay Motel. We are perfect accommodation located in Tin Can Bay, Queensland and within a short stroll of the Tin Can Bay waterfront, we have beautiful gardens, a pool and barbeque for your enjoyment. Bring the family and your pet, your boat and trailer. We are pet friendly and have ample space to park your boat trailer on site. This quiet, tranquil retreat is ideal for the getaway you deserve. Only 3 km from Tin Can Bay Motel is Norman Point where you can visit with the dolphins in the wild every morning from 7.30am to 8.00am. Afterwards, you can enjoy breakfast at a number of waterside venues and hire a dinghy to explore Snapper Creek to catch crabs and fish in secluded inlets. There is an environmental walkway commencing opposite the library with a history of Tin Can Bay. Follow the pathway through the playground noting points of interest on clearly marked signs as you wander through pockets of natural forest glades and over a bridge where mangroves grow to towering gums holding Whistling Kite nests high above. Continue on to Crab Creek, an 80 minute return stroll. Not only is Tin Can Bay known throughout Australia as one of the most charming villages on the SE Queensland coast, but our Foreshore continues to gather praise for it's wealth of natural beauty. Being located within Queensland’s Great Sandy Straits, it is also part of a Ramsar Wetland of international importance. Whether bicycle riding, jogging, or just casually strolling, follow the signage along the 4 km stretch of the easily accessible “Tin Can Bay Foreshore Bird Walk”, soon to be included as a Site in “Bird Trails of Cooloola”. 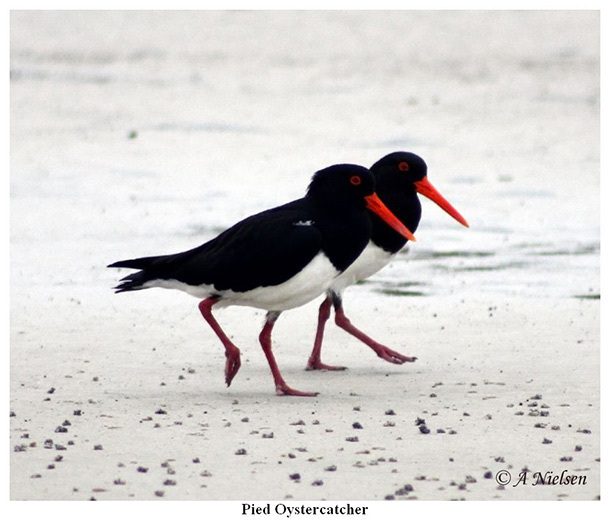 You will soon discover that Tin Can Bay is home to a truly wonderful variety of birds. Tin Can Bay is only 31km from Rainbow Beach, a day trip to 4WD off-road vehicle and bike ride, attend the surf school, take a tour of Fraser Island or a half day tour of the world famous Coloured Sands, take in the best coastal views from Double Island Point lighthouse and discover Cooloola’s unique, virtually unknown rainforest. 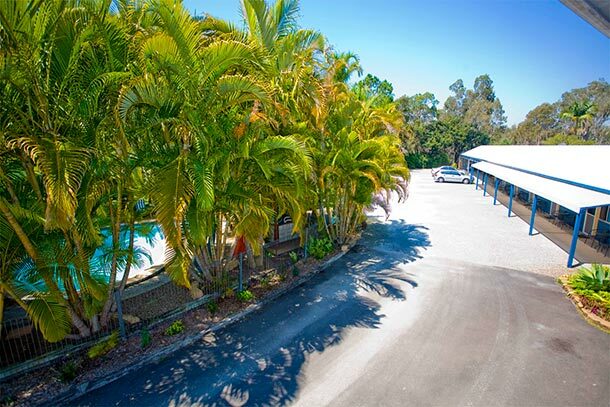 After your busy day, discovering the Cooloola Coast, return to Tin Can Bay Motel and relax by the pool and enjoy the BBQ and gardens before retiring to your immaculately clean, light, airy, comfortable accommodation. In the morning, you will be awakened by the most delightful orchestra of bird song not traffic noise.